After this blog’s wonderful tea contributor Sara Letourneau tagged me on Facebook to devise this list, I decided to do it on the blog, as this is the most apt place to do this kind of thing. Even though it was mandated to be “10” by this recent Facebook trend, I decided to offer you 11 books, with an extensive description of how these books greatly shaped/impacted me. Many of these are recent reads, because they seem to be the most subjectively important to me, at this point in time. And, they could easily change, in the way things do over time, and from different relativistic points in our lives. When Anne Rice left organized religion, her work ironically become deeper, in its spiritual questions. Her Angel series was profound and exciting, but there was something a little anemic, in ways of really diving into questions like human morality/subjectivity/fate/ the notion of time/ the questionable existence of higher intelligent beings (and whether or not they’ll be necessarily moral. The sequel to her first fabulous book, “The Wolf Gift,” is my favorite of Anne Rice’s books. 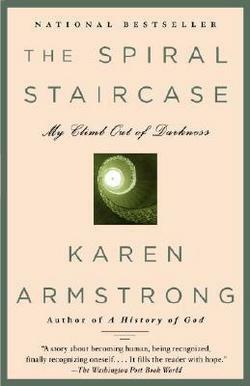 Last year, I re-read the book, prior to a time when I suffered from a very bad depression. This book revived me spiritually; it reminded me of the all the things I should be grateful for, in the frame of time called in the book “ordinary time.” My depression, in a sense, was that time-cordoned from the rest of reality- like Christmas becomes for Reuben, when thinking upon his grief over the death of the previous owner of his house. The book profoundly helped me convalesce from my depression, and Anne Rice actually sent me a copy, when I informed her of my debilitating health via email. She happily sent me a signed copy, due to not being able to physically make it to the signing. At that time, I was not entirely sure I was either alive or conscious, which is a very strange malady of the mind called “depersonalization.” I was literally outside myself, and Anne Rice’s beautiful words grounded me, and gave me life again, just as Interview with the Vampire did the same for me a few years back. 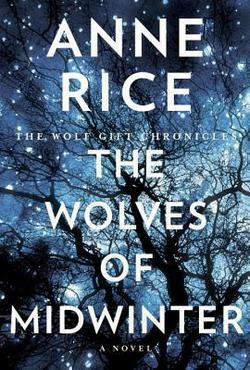 I love Anne Rice’s works, and The Wolves of Midwinter,with a beautiful, mosaic cover, reminiscent of Starry Night, is my most treasured book, of my large, sprawling Anne Rice book collection. Even when critics pan her work, I still find beauty in them, because Anne Rice really pours out her heart and soul, into every word she puts together. She is a truly talented artist! 2. Ronlyn Domingue’s Chronicles of Secret Riven/Mapmaker’s War: I rarely cry when I read, which no one can attest to, but myself. But, this book had me crying at certain intervals, because the writing was so powerfully subtle, beautiful, and all-around transcendent; you have to wonder why the writer Ronlyn Domingue is more a mystic, more than a writer. Actually, sometimes I think a majority of my favorite writers, think in ways like religious mystics, in that they seek more meaning in the “apophatic” understanding of the world, which accepts mystery, paradox as things to be in awe of, versus being restive and angered towards (thus leading to very dangerous eruptions of hubris). And, Chronicles of Secret Riven explores the duality of our psyches, the polarized spheres of the industrial/ natural worlds, and how the volatile eruptions between these greatly shake and disrupt the harmony of the artist’s world. The character is an emotionally-sensitive, artistic figure, greatly attuned to these shifting poles in the world. This book really profoundly reflected my own constant battle with the world around me, in a world where some people aren’t so overwhelmed constantly by experiences and people around them. I think its my qualities, as an empath, (not in the new-age understanding of having powers, but just certain brain chemistry, making you more sensitive to small changes/nuances of the world) that just greatly overwhelms me daily. I’ll be sitting on a train, and the anguish of the person in front of me will greatly shake me to the core, and I will feel the tumult of their sadness just pound into me, till I feel I am no longer on the train. And, the main character of Chronicles of Secret Riven, and the The Mapmaker’s War, must learn to survive, endure in a world that wishes to destroy their essence and creativity, till there is nothing left of them. 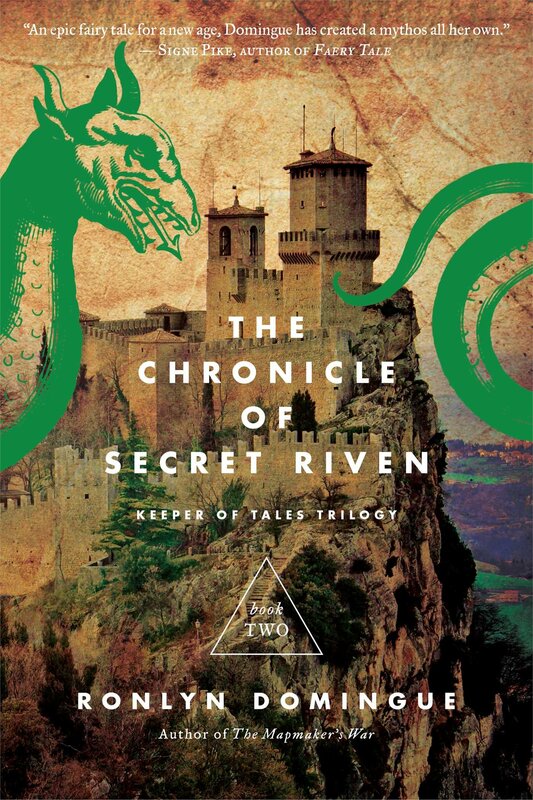 This series is a remarkable work of fiction, and I highly recommend this fairly little known fantasy series, for it’s allegorical riches, and deep attention to the depth of human emotions. are a work of genius, as they are finally sociologically and ideologically evolved. They are completely antithetical to the dunce “ET’s” that have no real intelligence, even though we’re supposed to believe “ET” and his other group of dimwitted plant-pickers somehow has the ability to build ships that travel faster than the speed of light. And, I love Ridley Scott’s Alien movie, as a wonderful relic of horror movie art work, and I am pretty much a big fan of Ridley Scott’s film (even the much-abhorred Prometheus). Yet, the aliens in that are fairly monstrous, unimaginative, and silly. And, that goes with a lot of alien narratives, including the sadistic Fire in the Sky, with its ridiculously evil aliens, that just seek to torture us ruthlessly, and leave us with scarring images of the worst case scenario of a dental appointment. No, Octavia Butler’s aliens are really interesting, and are comprised of three genders, and are very conscientious, inquisitive, though mysteriously deceptive, to the eyes of the human observer: Lilith, with her own human prejudicial preoccupations. I ended up favoring the aliens, more-so than the humans, which seems like the antithetical reaction you’re meant to have. The humans were annoying, petulant, from the eyes of aliens, who never grew impatient. Her vision of aliens has this strange parallel of God’s relationship with Adam & Eve in the Jewish creation myth, from Genesis (I refuse to ascribe it as a “Christian” myth, when it’s not). Perhaps, that was intentional, because this book mirrored my own creative ideas of what constitutes and shapes sentient beings of higher intelligence than our own. How does this change what we think of ethics, morality, etc.? Is it as the wonderful, ingenious Teilhard de Chardin once said that the progression of human intelligence, is an inevitable journey to the omega point, till we’ve allegorically risen to the levels of Paradiso or “God?” Now, this sort of conjecture frightens people and confuses them, especially as I’m agnostic, and irreligious, but why are these questions only important and exclusive to enclave institutional religions? They can’t be, right? To me, Octavia Butler reminds us that it’s inherently a ridiculous notion to think a mutable religious institution or ideology somehow imaginatively has credence on an entirely different plane, with beings of higher intelligence. No alien might have any notion of polytheism, monotheism, or even the idea of religion. 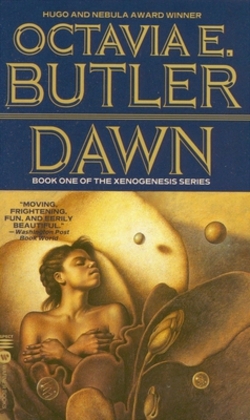 And, most scifi novels are almost always projecting the structures of our world, just to make the aliens seem less “alien.” And, Octavia Butler goes beyond that, pushing the depth and enigmatic quality of aliens to their fullest potential with her intentionally sparse prose. 5. 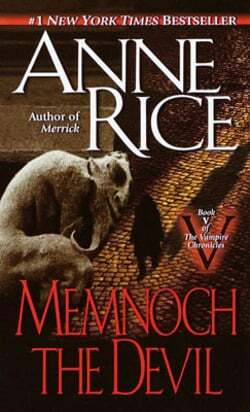 Memnoch the Devil, by Anne Rice: At a time when I was at a very paradigm-changing part of my life and approach to life, this book completely reshaped my perspective on a slew of different religious questions. Anne Rice has always been deeply inquisitive, and insatiable with the deep questions she asks. I almost put “Interview with the Vampire,” here but I’m letting “Memnoch the Devil” represent my favorite of the “Vampire Chronicles series,” a series I re-read constantly because of its insights into the human condition, and its openness with all the most vexing questions of our lives. 6. 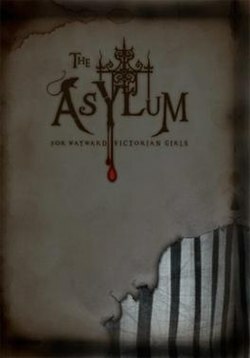 Asylum for Wayward Victorian Girls, by Emilie Autumn: This is a self-published, mind-blowing volume, which really displays this indie Gothic-Industrial musicians’s talent for writing. She obviously has a very High IQ, as evidenced by this staggeringly complex work. It is the best history of feminism ever written, comparing the modern-day psyches of females (From the perspective of Emilie with an “e”), and her counterpart Emily with a “Y.” It’s madly rambling and discursive, but strangely lucid to those that can understand Emile’s genius way of thinking of the world around her. This is the best book on mental illness around, and it shows the profundity of ambiguities and uncertainties that are in our minds. 7. Madeleine L’Engle’s “Small Rain:” This book also shook my tiny world of tight orthodoxy, because Madeleine L’Engle is a brilliantly sane Christians; someone that loved doubt, paradox, and scientific wonders. 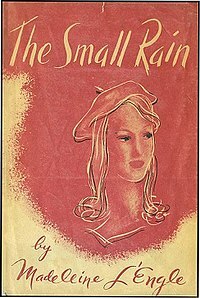 I read all her books, but “Small Rain” really hit me hard, in a good way. I almost put “Wrinkle in Time” here, but Small Rain stands out more to me, as an exceptional piece of literature that best represents the wide array of amazing, thought-provoking, sobering works that encompass all of Madeleine L’Engle’s books. Whether you’re an atheist, agnostic, Jew, Muslim, or a Christian, her books are really for anyone with an open mind and heart, and willing to open the door to a much more paradoxical reality. That is a common trend with books I love; they are ones that give you the opportunity to explore deep questions. 8. 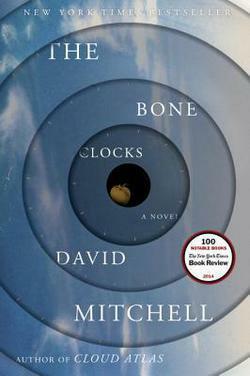 “The Bone Clocks,” by David Mitchell: This is a recent addition to the list, but David Mitchell has this uncanny ability, to mirror some of my deepest questions about the metaphysical nature of our world. Like Madeleine L’Engle, he delves into deep existential/spiritual questions that go “outside the box” of orthodoxy. Most of the my aforementioned favorites deal with questions of the reason for existing,in ways that welcome the doubtful, inquisitive thinker. These books are an avenue to explore this away, from the world of brash, stubborn, idiotic certainty. And David Mitchell writes completely different, from many other writers in the world of the fiction market. He is writing stuff that is a pastiche of so many different things, and it is a beauty to behold what he writes. 9. The Magician’s King/ Magician’s Land: If you are a fantasy novel fan, you must do yourself a favor and read the entire Magicians series. These books are a landmark, genre-changing series, that delve into so many different philosophical questions, even those pertaining to semantic discussions of whether magic is truly useful or not. Does it effect that much tangible change in the quality of our lives, or is the cyclical cycle between good/bad things (the Medieval wheel of fortune, persay) an immutable quality of our reality? This series is really ingenious, and I still wish it could have lasted a little longer than three books. 10. 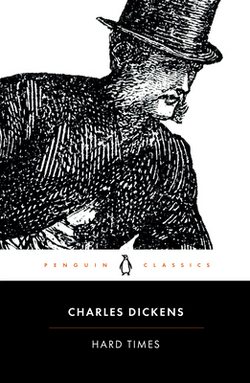 Hard Times, by Charles Dickens- Having read this twice in school, I have to say this book is alarmingly very, very provocative and relevant for our modern world, where Victorian views of the poor and impoverished haunt us. Turn on Fox News, and many of the condescending, scornful diatribes about the poor, or how education should be conducted are almost word-to-word verbatim from some of the scoundrel, utilitarian economists in Charles Dicken’s book. This story is well-developed, beautiful, very readable (regardless of what the silly “he got paid by the word” naysayers say; he writes very well, and sparingly..in my opinion) This is his best book, while Great Expectations is my favorite of his stories. This book has a lot to say about trends like “the tragedy of the commons,” and the way we are letting our world die before us. This is a portent of things to come, if we are not careful, making Charles Dicken very frighteningly prescient in this work. 11.”The Last Battle,” by CS Lewis Why CS Lewis’s Last Battle in a list full of more unorthodox works? Well, I re-read Last Battle about a year ago, shutting out all the dismissive things about this book. It was strangely more thought-provoking, beautiful, and subversive than I ever remember. Many call it a “fundamentalist book,” but that is a ridiculous, deeply prejudiced thing to say. I consider myself an agnostic at this point in my life, and was leaning even more into atheist territory (I bounce all over the spectrum, in terms of spirituality) when re-reading CS Lewis’ Last Battle. A new message, emerged for me, though, while re-reading it; this book is almost a treatise about the dangers of fundamentalism, and the idea of the punitive god. Maybe, I’m projecting my own biases and own deep dislike for Christian fundamentalism, but CS Lewis seems to metaphorically reflect the fatalistic, and neurotic dangers (as Nathaniel Hawthorn did) of paranoid-schizophrenic Christian fundamentalism,and how it robs us of the belief in higher ethical things like love, forgiveness, empathy. These deeper magics are stolen by a false deity, who only is deeply vindictive, vengeful, and sadistic, which are all the qualities that curiously define the fundamentalist God. 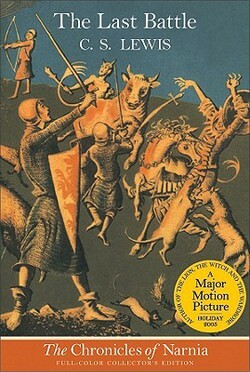 Give this book a chance, actually give the whole Narnia series a second glance, with more open eyes, allowing the allegorical genius of CS Lewis’ writing pervade your mind. Again, stop thinking of his work as only some kind of “Christian tract;” read it like a story, enjoy it like a fairy-tale, and let the deeper messages sink into your brain, like a really good George MacDonald story. What are your top 11 favorite, or life-changing books? List them below, or link to your blog post, where you included them? I tag anyone that reads this post, for the most part! Very interesting list, Justin! 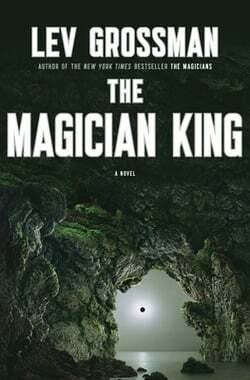 I’ve only read #11 on your list, and am planning to get “The Magician King” after I read “The Magicians.” It’s always neat to see how readers with common tastes can have drastically different all-time lists.